I can barely stand it anymore. The knee-jerk reaction to Obama and his supposed lack of support for Israel is fueled by either rank partisanship or blatant ignorance. Signing the agreement with Iran is part of the protection of Israel not a threat to Israel. Moreover, in terms of traditional support Obama has been strengthening the US-Israel relationship and maintaining its historical bonds. If you don’t think so then you’re just not paying attention. Below I’m going to be simple, clear, and blunt. For additional information go to the National Jewish Democratic Council. This is a Jewish organization and they are more likely to be demanding in terms of support for Israel. If anything, they are going to be a difficult group to please so when they expressed their satisfaction with Obama’s support you know it must be substantial. On the National Jewish Democratic Council site you can follow links to more original documents and click your way to the original sources of evidence for the issues I list out below. In a speech in 2013 Obama stated emphatically that the United States stands with the State of Israel. He pointed out that Israel was recognized quickly by the United States 65 years ago and continues to be Israel’s closest international friend. Obama has provided Israel with as much and in many cases more military aid than any time in its history. This includes $275 million for the Iron Dome Missile System which is so important for Israel’s protection from Hamas missiles. 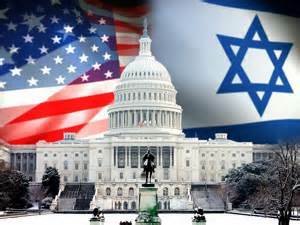 Obama signed the US-Israel Enhanced Security Act which provides additional weaponry for Israel’s defense. This includes bunker busting bombs, F-35 fighter planes, and fast tracking arms sales. As much criticism as Israel receives, Obama has clearly defended Israel’s right to self-defense and has maintained support for the position that the Palestinian issue should be bilateral. The US continues to vote consistently with Israel and has defended Israel’s legitimacy on the world stage. Israeli leaders such as Shimon Peres, Michael Oren, Ehud Barak, and on more than one occasion even Benjamin Netanyahu have praised President Obama and noted his strong support and alliance with Israel. The US has continued to support Israel behind the scenes in numerous subtle ways. For example the US and Israel continue to coordinate to combat smuggling and engage in military exercises designed to protect Israel. Even with the Obama-Netanyahu spat the two allies remain close and it has not been Obama who has wavered in his support. A narrow definition of support is what primarily informs those who continually complain about insufficient support for Israel. That definition is typically limited to military aid and other financial means. Obama’s diplomacy, and his slower more deliberative approach to the issues, must be considered a serious form of support and not appeasement. The critics of Obama when it comes to Israel have a narrow definition of the management of conflict and images of peace. No true legitimate third-party can be so blatantly supportive of one side at the expense of the other. If Obama and the United States are going to be true brokers of peace they have to be somewhat more inclusive. Difficult as it is, a truly sustainable relationship between Israel and its neighbors will come when there is some sort of peace agreement. 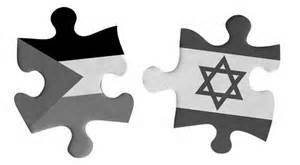 And such an agreement will include the interests of others as well as Israel. That, too, is what it means to be supportive of Israel. What are the communicative, cognitive, and social psychological processes associated with change? Or, how do positive outcomes associated with contact come into being. Below I explain the processes most associated with how and why contact ameliorates or make change possible between conflicting parties. Humans are open system information processors who are always subject to the influences of information. Even the most prejudiced person, with the most rigid boundaries and categories for classifying others, can unfreeze or loosen those categories in order to process new information or integrate new meanings. Any process of reciprocal interaction (contact) requires cues and stimuli to be integrated and made sense of. This is a conscious activity guided by individuals who take any sort of inconsistency, puzzlement, new information, or confusion and make sense of it. Consequently, two members of conflicting parties can have contact with one another and expect some sort of information processing that alters the cognitive content and boundaries of each. Surely this will vary by individuals with some being more recalcitrant and resistant to change than others. 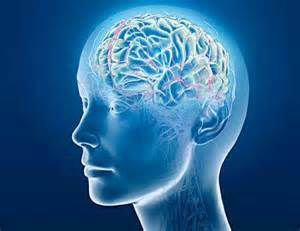 But all individuals by the very nature of their information processing capabilities are subject to change. The contact hypothesis, in the hands of knowledgeable facilitators, is designed to direct this process as much as possible; the conditions of contact can be controlled such that they maximize the opportunities for communication to work. Contact, and the information processing that accompanies it, is by definition communicative and interactive and potentially transformational even if the transformation is minimal. By emphasizing interpersonal exchanges the chances for altering attitudes, beliefs, stereotypes, and perceptions are increased potentially resulting in change for individuals and groups. This possibility for learning and integrating new information makes it possible to develop practices related to positive change such as restorative justice, forgiveness, cooperation, and reconciliation. It is grounded in a cultural context and articulates a subjectively central interaction where the participants are the primary resources. Groups in conflict must adjust and change for the purpose of peaceful relationships, political order, and the recognition of group rights. Interactions between divergent groups, then, are subject to different perspectives and patterns of communication necessary for reaching across symbolic divides and working toward consensus on difficult issues. Contact experiences can be designed for maximum conditions essential to the linking and convergence sought after by conflicting groups. Dryzek (2010), for example, makes the distinction between bonding communication and bridging communication. Bonding communication takes place when people in groups are similar and share similar backgrounds and cultures. Bonding intensifies commonalities and identification with others. For instance, Yasser Arafat was known to speak one way to his own people and another way to international or culturally different groups. When speaking to his own cultural group he engaged in bonding forms of communication by using Arabic communication patterns and emotionally arousing discourse. This type of communication intensifies group identity and deepens divisions with outgroups. Of course, President Bush adopted a bonding discourse in order to solidify support after 9/11. Bonding discourse can separate groups into polarized differences and reinforce attitudes. It is not the kind of communication most conducive to unfreezing prejudices or moderating stereotypes of outgroups. Rather, a contact experience would benefit from communicative arrangements designed to “bridge” individuals and groups. Bridging communication takes the perspective of the other and works to incorporate it into one’s own outlook. The goal is to bridge or transcend differences between groups by providing some pathway from one group reality to the other. Contact experiences are fundamentally concerned with bridging disparate realities by using communication to coordinate and manage meanings and relationships. Such bridging contact can be difficult because group members must recognize and understand the attitudes and beliefs of the other and adjust or incorporate them in some way. There are any number of psychological barriers, filters, and defense mechanisms that make bridging communication difficult. The burden of bridging communication is considerable especially when one group is a discriminated against minority. Bridging communication must find overarching shared values that appeal to and connect both sides. So, for example, even though one side (e.g. Palestinians) is discriminated against they must participate in the task of building bridges in order to achieve full rights and representation. The Nuclear Deal with Iran is a Good One and in The Right Direction – Yes, Even for Israel. The nuclear deal with Iran is just fine and a strong piece of international diplomacy that Obama should get credit for. Let’s take a closer look at the issues and try to respond on the basis of good policy and evidence rather than fixed ideological positions. We can begin by examining the consequences of doing nothing. In that case, the only options are to continue the let Iran develop nuclear power until it is weaponized or respond with violence by bombing their facilities and resources. Both options are just counterproductive. Bombing Iran – the position of knee-jerk conservatives and those with fantasies about killing all your enemies in one easy swoop – would be extremely provocative and probably bring about just what it is we are trying to prevent. That is, it would justify Iran’s counterattack as well as any other forms of military action. It would jeopardize Israel and the United States and move relationships backward rather than forward. Of course the deal is not perfect and it is dependent on the quality of inspections and the conscientiousness of all the parties involved. But it’s a negotiation, a compromise, a synthesis emerging out of a thesis and antithesis with all due respects to Hegel and the logic of epistemological value. We should try to rise above the rank ideological analyses that simply equate this with appeasement of the Nazis in the 1930s (I invoke my typical refrain that every time you compare a foreign policy decision to Hitler or the Nazis the quality of the arguments and discussion has just declined). This is an attempt at rational management and the prevention of unspeakable violence. There are more reasons why this deal is a step in the right direction. First, it is not an act that leaves Israel vulnerable. If it sets the foundation for some stability, it will protect Israel rather than threaten Israel. 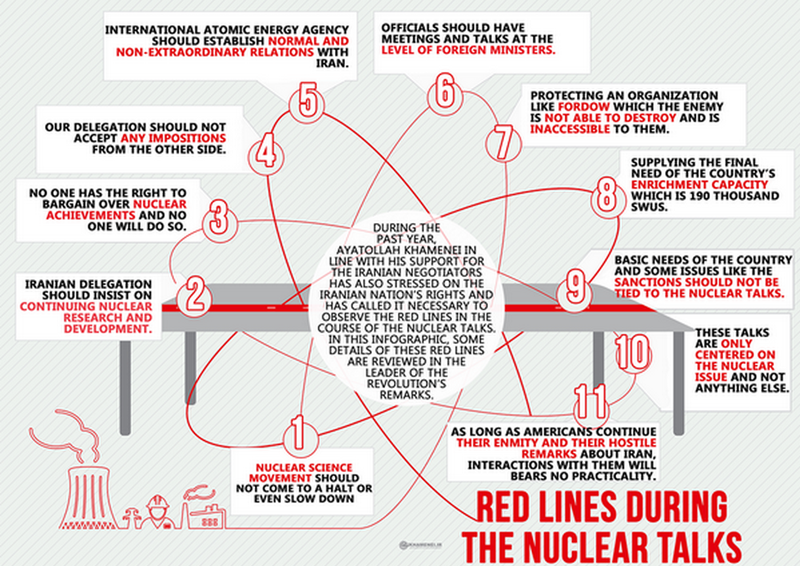 If the sanctions work properly they will become even more intense if Iran violates the tenets of the deal. Iran must be approached as a rational actor that cares about protecting its citizens. I understand its religious proclivities and irresponsible statements regarding the existence of Israel and the U. S. (The Great Satan) but Iran is also a historically sophisticated culture that many believe want a seat at the table of civilized nations. Secondly, the most cynical among us claim that Obama cares about nothing but his legacy. Really! Obama instituted this process with his own reputation in the future in mind only? Obama has always been more interested in a slower hand and a diplomatic stance than anything else. He believes in dialogue and contact with enemies when necessary leaving violence as a last resort. Obama recognized the importance of a nuclear deal and worked hard to achieve it. And third, Iran may be a historical enemy of the United States, especially after the hostage crisis and the revolution in 1979, and even be a threat to some of our allies but again the nuclear deal potentially brings stability. The possible payoff of improved relations with Iran is considerable and includes a counterbalance to ISIS who are Sunni and an opportunity for Iran to forge a more stable relationship for the U. S. among some unstable places like Syria, Yemen, and Lebanon all of which are in Iran’s sphere of influence. If, and I certainly recognize that this is a conditional, this deal is even minimally effective and Iran spends more time in bridging discourse with the United States than this in itself will be a significant achievement and foundational to the management of conflict. Assuming that Congress expresses support for the deal – and I think they will since some polls show that close to 80% of Americans support the deal – then Iran’s nuclear capabilities will have been constrained, and that is the primary goal. As of now, this agreement is a diplomatic achievement and with just the smallest amount of commitment and moral fortitude it will evolve into a significant stabilizing force in international relations.